What can you tell me about holy basil? I read one article about it, and it sounded very good. Holy basil (Ocimum sanctum) is an herb native to India, where it is known as tulsi. 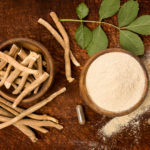 It is sacred in the Hindu religious tradition and is regarded as one of the most important plants used in Ayurvedic medicine. If you go to India, you will see holy basil growing in profusion around Hindu temples. It comes in red and green varieties, both with a strong, pleasant aroma. More clove-like than that of culinary basil, holy basil has been used for centuries to treat a variety of medical conditions including heart problems, asthma, bronchitis, arthritis and eye disorders. Although historically it hasn’t been used for cooking, some American cooks have begun to experiment with it. In the past decade or so a number of scientific studies have looked at holy basil for various treatment purposes. All of these studies have been done in animals, usually laboratory mice and rats, so we can’t be certain that results will translate to humans. 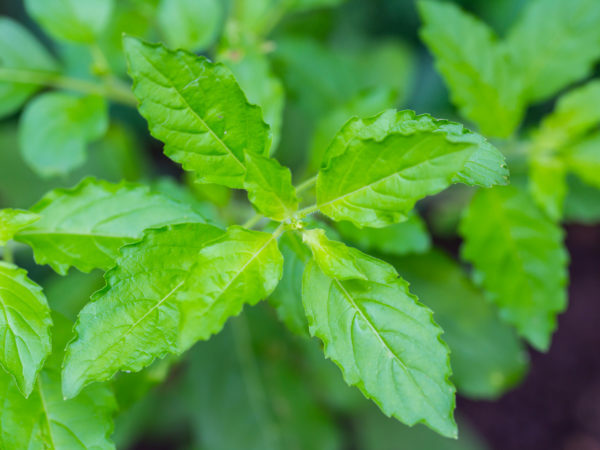 Findings from these various investigations suggest that holy basil might have some effects as a painkiller, a COX-II anti-inflammatory agent, an antioxidant, and as a treatment for bacterial, fungal and even viral infections. There is also evidence (again, only from animal studies) that holy basil might help control blood sugar. The most compelling evidence I’ve reviewed indicates that holy basil may help counteract the effects of stress. In fact, preparations made from holy basil are widely used to treat stress-related health problems in India and elsewhere. One study, published in 1991 in the Indian Journal of Pharmacology, compared holy basil to Siberian ginseng (Eleutherococcus senticosus) and Asian ginseng (Panax ginseng) and found that holy basil was the most potent anti-stress agent of the three, and also had the highest margin of safety. However, this study, as well as a dozen others I found in a search of the medical literature, was conducted in laboratory animals, not humans.